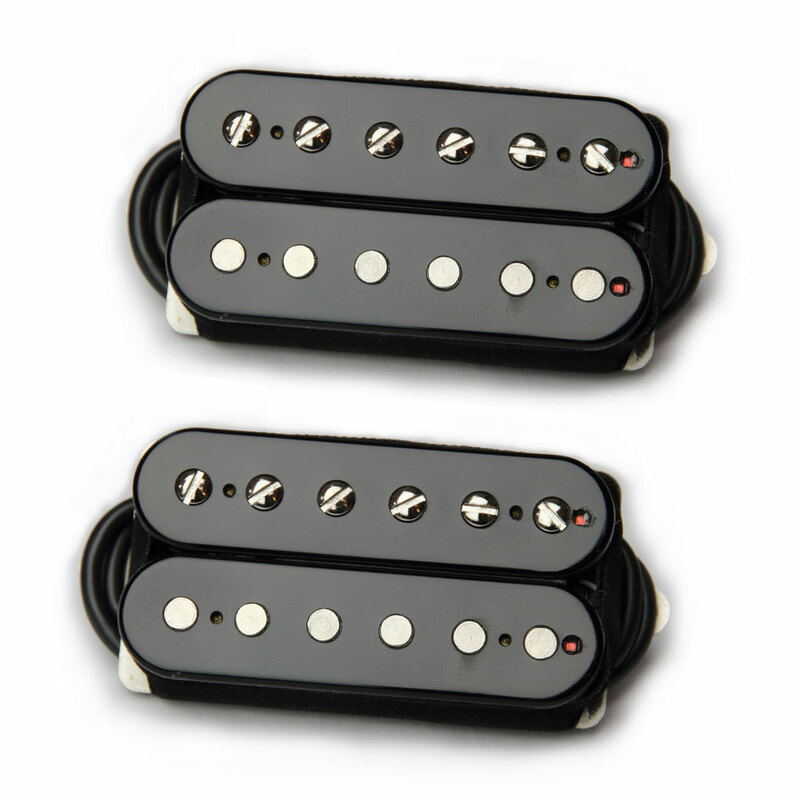 The Bare Knuckle Pickups Old Guard Humbucker Set is hand wound in the UK, features Alnico II magnets and is mainly aimed at classic blues, rock, country, pop and alternative tones. From their Boot Camp range, the Old Guard pickups are in the low output range and produce an open, dynamic tone. The Bare Knuckle Boot Camp is a stripped back, no-nonsense pickup range aimed at guitar players who just want to cut to the chase and have great tone. The 50 mm pole spacing is standard for guitars with fixed bridges (e.g. Gibson Les Paul), the 53 mm spaced bridge humbucker (also called F-spaced or trembuckers) are used on guitars with tremolos (please note the 53 mm set refers to the bridge pickup pole spacing only, the neck pickup is 50 mm in both sets).